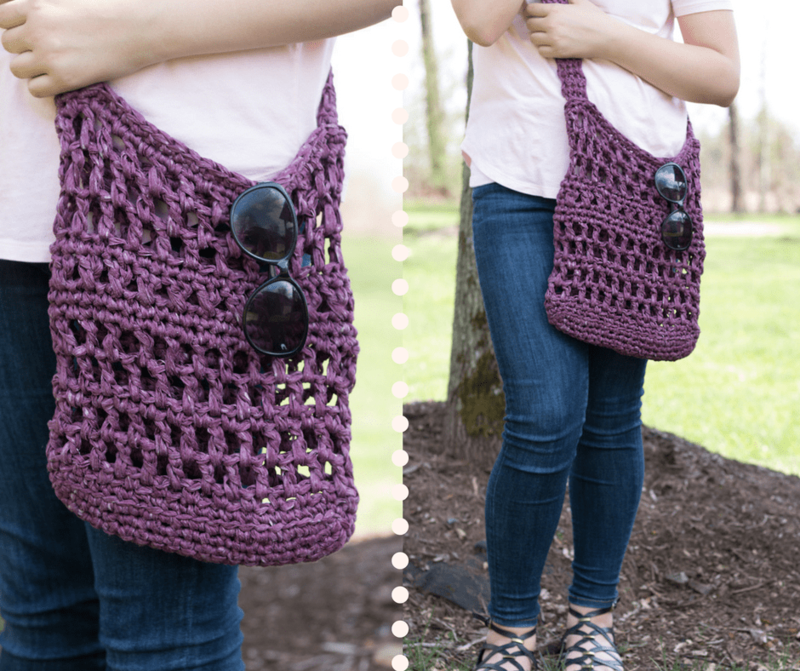 This free crochet market tote pattern works up in just a few days! 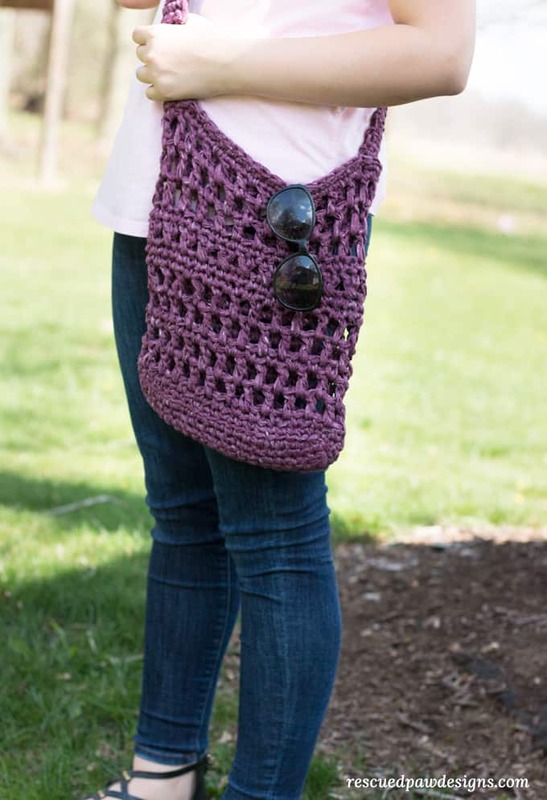 Keep on reading down to find the full free market bag pattern to get started today! 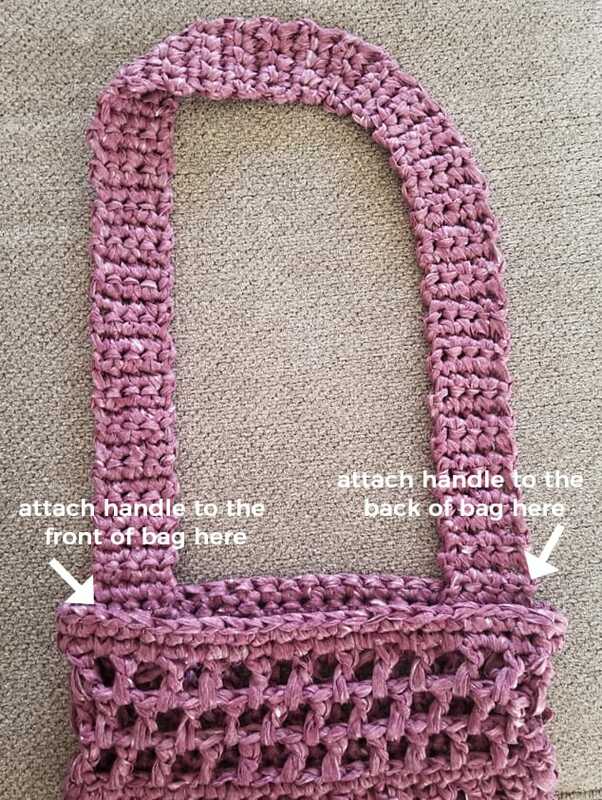 READY TO MAKE AN EASY CROCHET MARKET BAG? I used Lion Brand Yarns new Rewind Yarn (affiliate link) in the colorway Current Situation for entire bag. This fiber is a tape yarn and oh so soft! It really is one that you have to see in person to appreciate how pretty it is! 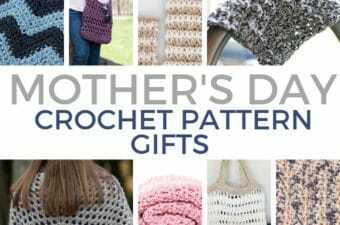 You will need to hold two skeins together at once for this pattern to make it sturdy and holds up well to all the goodies that will be filling it! 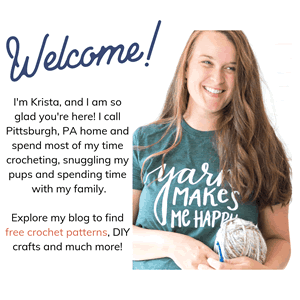 Click the Yarn Image Below to Check it Out! 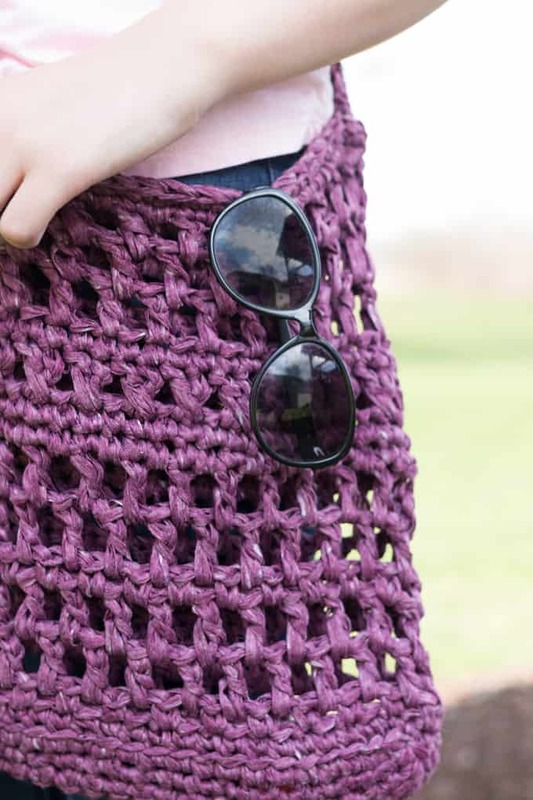 This is a cute and simple crochet market bag tutorial that can be used all summer long! Take with you to local farmers markets, shops and much more to fill up with whatever it is you may need! 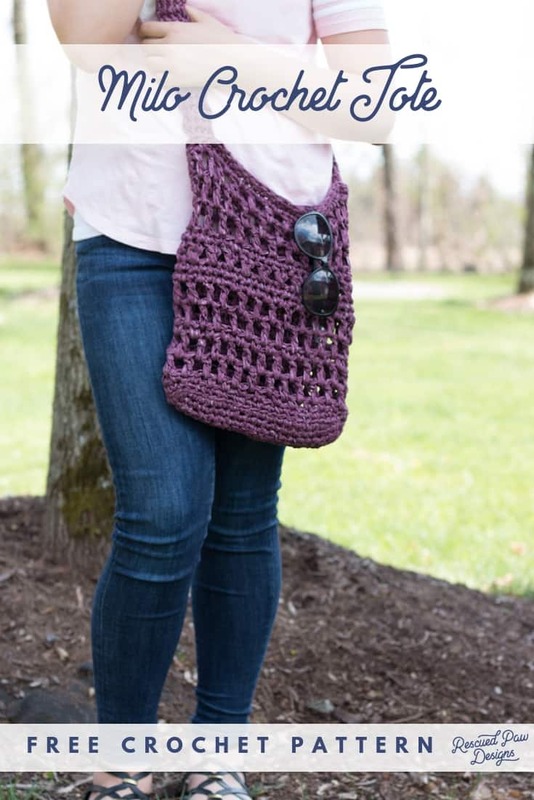 This is meant to be a cross body bag but you could easily crochet two handles and use it as a shoulder bag if you wish. It is up to you! This would even make a cute beach tote! 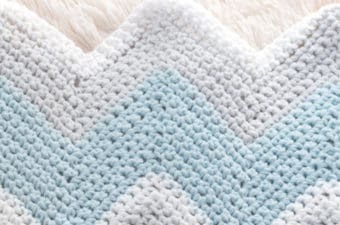 The spaces between the stitches are perfect for letting sand fall through back on to the beach and not in your house! 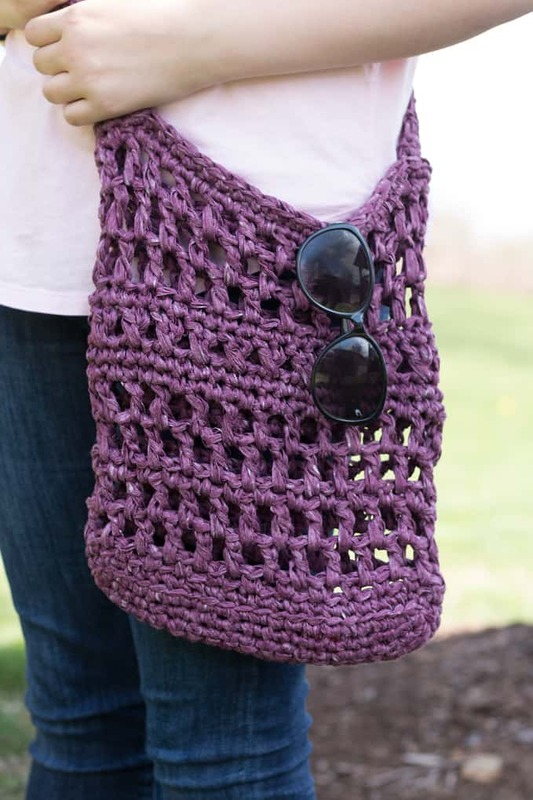 Ready to get started on your FREE market tote crochet pattern? 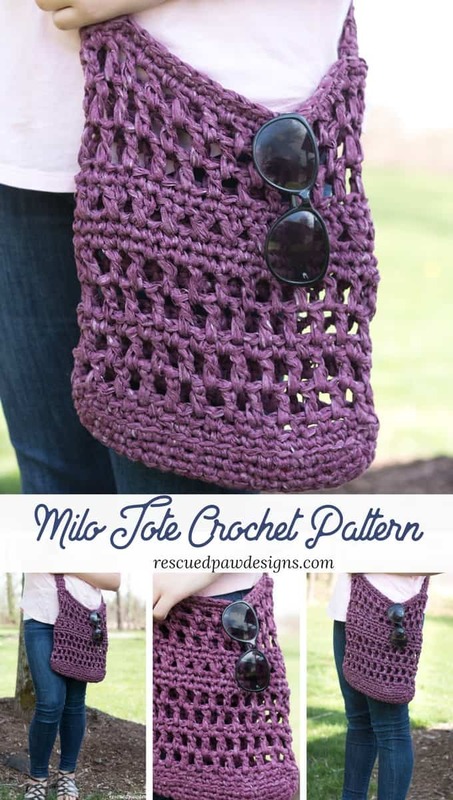 The Milo Crochet Market Bag is a pattern that can be worked up fairly quickly holding two skeins of yarn together at the same time. If you think you are ready to learn how to crochet a market bag then read on down for the full free pattern. Happy Crochet Market Tote Bag Making! Materials: As written you will need less than 444 yards of Lion Brand Rewind Yarn in Current Situation (or two skeins), size K crochet hook , scissors, stitch marker and a yarn needle. 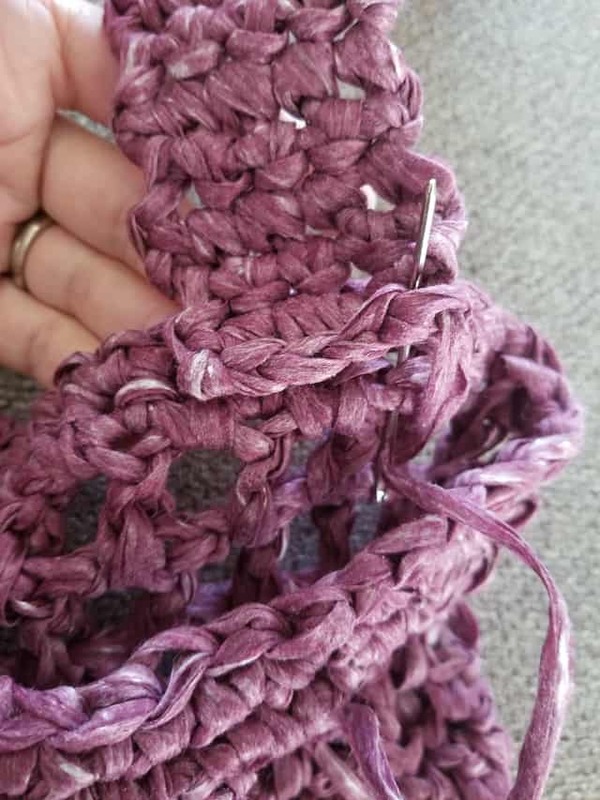 Hold two strands of yarn together for the entire pattern including the handles. I cannot guarantee how different yarns will work up with this pattern. 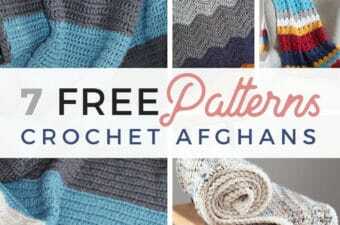 I highly HIGHLY urge you to use the yarn that the pattern was written with. When working in rounds we will be placing a stitch marker in the first stitch of every round. This is a cross body bag so you will have one long handle attached. !! Work the entire pattern with two skeins of yarn held together !! Round 17: Repeat 9, (48) slip stitch into the row before to finish. Fasten off yarn. Row 3 – whatever length reaches 37″: Repeat Row 2, after the last row fasten off yarn leaving a 10″ tail. Tote: Weave in ends throughout the tote with a yarn needle. Handles: Attach the handles using the 10″ tail piece on each end and a yarn needle and attach to the top of the tote bag evenly along the next to last row of sc’s and along the top securely on opposite sides of the bag to make cross body strap. 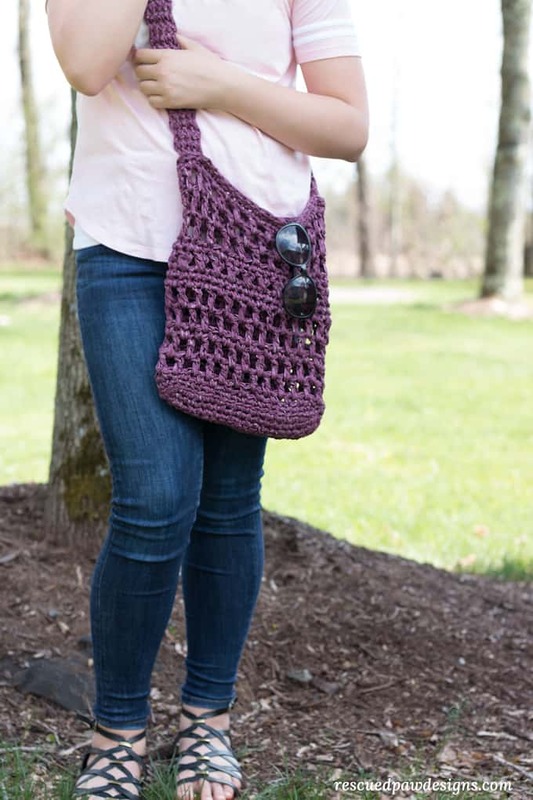 You are done with your very own crochet farmers market bag! This market bag will stretch a bit but that just means you can fit more goodies in it! If you have any questions please feel free to send me an email at Krista [at] rescuedpawdesigns.com. chain 1 spaces in row 12. 444 yards? So how many do you use if it comes in 3.69 oz? Each skein is 242 yards. This bag is worked up holding two skeins together at the same time so you will need approximately 2 skeins of this yarn to make the bag.